Cinched in perfectly at the waist and flawlessly tailored at the thighs; my eyes were immediately drawn to the mannequin at the entrance to the clothing store and I could not hide my horror. It had nothing to do with the clothes that they were wearing; it was to do with the body proportions of the model they adorned. I am no stranger to the world of fashion and the techniques used in retail to showcase garments, but it still never fails to infuriate me. The health of catwalk models is a heavily debated topic with changes starting to be made in France with the introduction of a medical note to confirm a normal body mass index before being booked for a job, yet in the UK we seem to be going completely the other way. Not only are changes still not being made to ensure the health of models in the high fashion area of the sector, but also alarming messages are now being communicated in high street stores. I am sure I am not the only person that has seen a garment on a mannequin and fallen in love with it, only to try it on and find that it does not fit me in that same way whatsoever. It is a horrible feeling and maybe it is because I am predisposed to certain thoughts, but I know that I instantly begin to question my weight, my body size and compare my body to that of the mannequin. However, on this particular occasion I am describing right here, I immediately questioned the reality of any of the clothes in the store fitting this mannequin in the beautifully tailored way that it did. Sure enough my suspicions were confirmed. Walking around the back of the models I has horrified to see the amount of fabric that had been folded back and pinned securely in order to fit the mannequin. Like I say, I am aware that retailers need to showcase their products beautifully to encourage sales, but do they really need to go to lengths of using unrealistically proportioned mannequins that are not even the right body size to fit any of the clothes that they are selling? A study conducted recently identified that 100% of the female mannequins inspected from a sample of high street retailers were representative of an unhealthy body size. This is worrying and frustrating, but I think it also highlights a potential contributing factor that could be escalating the issues with body image that face society today. 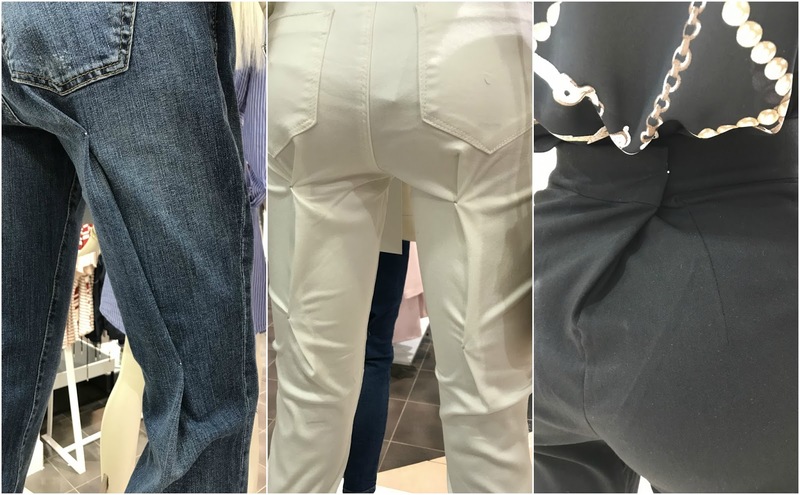 It is also important to note that the male mannequins were noticed as being unrealistically muscular, which shows that this is an issue that needs to be addressed across all sectors of fashion retail. I know that there is never going to be an industry where mannequins are available that represent every body size. I know that there are lots of other factors that affect people’s perception of self and body image. However, I do believe that changes need to be made. To be promoting clothes that do not even fit the mannequin without the process of folding fabric and using pins, in my opinion that is not ok.